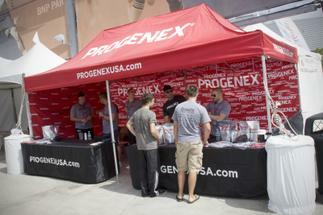 Progenex product for all! Stop by for a free sample. A growing list of things to do while at the HDC. Aside from witnessing some of the greatest athletes on Earth do battle all weekend, there are a number of things to see and do throughout while at the Home Depot Center. We’ll update this blog with activities as we find them, helping you fully round out your experience while in L.A. The following companies are on-site to display their wares and entertain you. 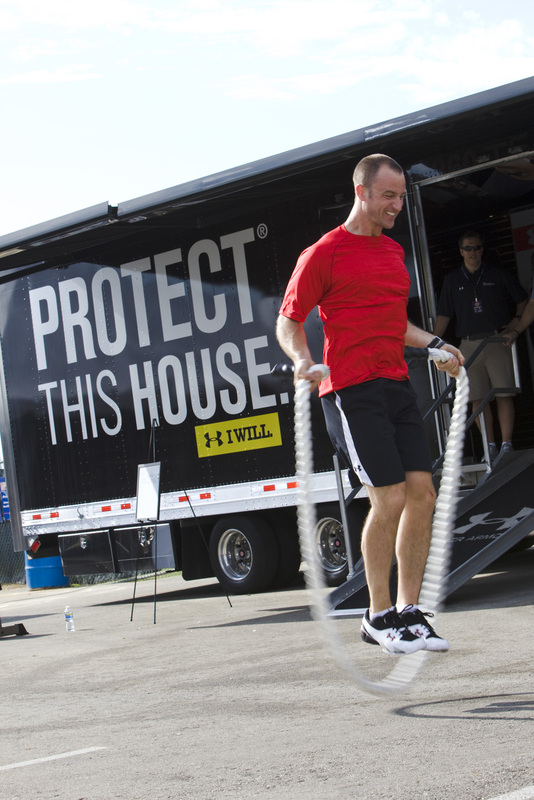 Under Armour - Stop by the Under Armour booth near tent city for your chance to participate in their Combine. Throw a medicine ball for distance, shoot for max reps in one minute with a super-thick jump rope (see photo to the right), and give your best on all the other challenges they’ve brought out to test your fitness. 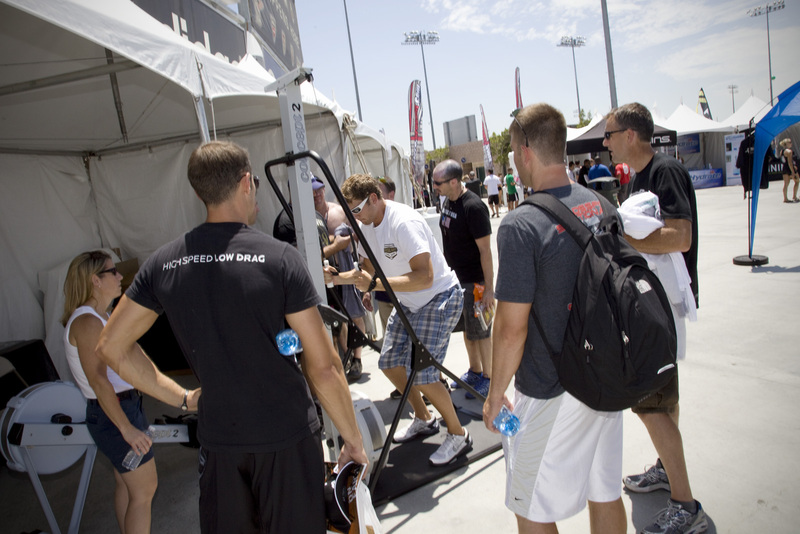 Concept 2 - Interested in trying out Concept2’s new SkiErg, or maybe giving the old rowing erg a pull? You’re in luck: they’ve got both in their booth, and they’re ready for you. There’s also a rumor of a simulated biathlon competition this weekend (without the bullets), so stop by and chat with Greg or Tracy about their products and take a few pieces of swag with you. Progenex - If you’re a real stickler when it comes to supplements and would love to chat someone up about one of the greatest recovery shakes on the market, representatives from Progenex are in their booth to give you a sample and answer your questions. AquaHydrate - The good people of AquaHydrate have stepped up in a big way this hot weekend to ensure our athletes are well hydrated, and it looks like the temperature is going to soar towards the triple digits. Stop by their booth to learn more about their high performance water, take a sample, and see how ionization and pH balance affect the water you drink. 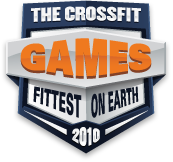 Can anyone tell us officially what time WODs will be announced in the morning? I couldn't hear Dave's announcement clearly. 16 July 2010 / 10:32 p.m.
Recovery Drink from Progenex. Whey protein, Natural chocolate flavour, natural cocoa powder and, er, Aspartame? 17 July 2010 / 9:21 a.m.
re #2 pete: Post Workout is more a medicine than a food. Probably would pretty much taste like medicine too if it weren't for the flavoring and sweetener. Most folks aren't as obsessed about artificial sweeteners as we are, so they'll sell twenty times more to the general population if they include the sweeteners, hence them being in there. 17 July 2010 / 9:58 a.m.
18 July 2010 / 10:48 p.m.